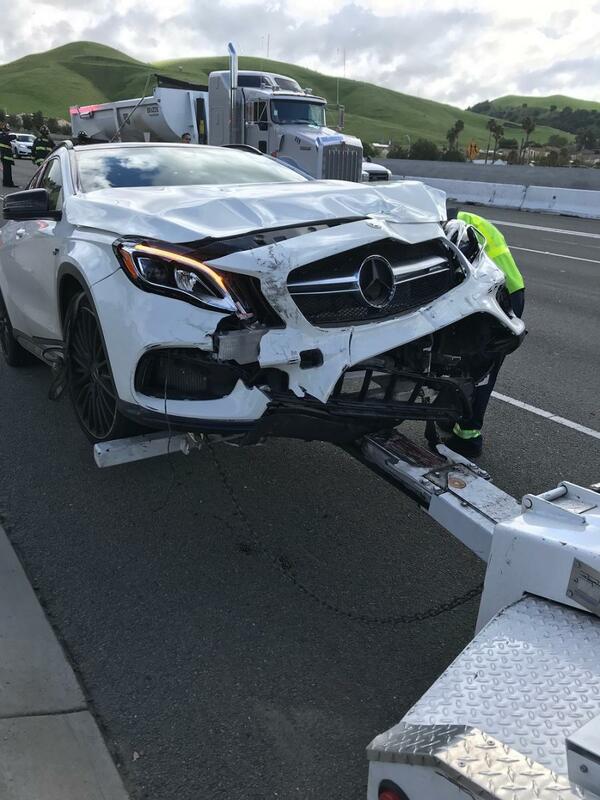 Mercedes GLA Forum > Mercedes-Benz GLA Forums > Mercedes-Benz GLA General Discussion > do you guys think this is totaled? 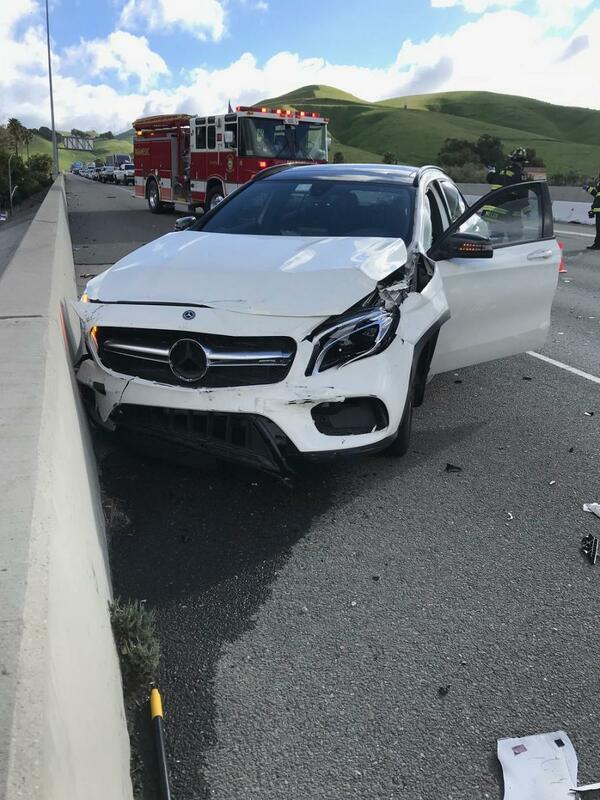 I'd say you walking away from the accident with only a sore wrist is a testament to fine German engineering, but we've come to learn the GLA is a collaboration of multi-national design bureaus, so to speak. Nonetheless, sincere condolences on the incident, best wishes for an equitable adjustment. I agree with Turbolink. Glad you're ok. I would hope they total it for your sake. Looks like lots of frame damage that would cause a myriad of non stop issues in the years to come. BTW, small consolation, but it's nice to see the "golden hills" of California looking so green. Looks like Highway 4. Tough driving in the East Bay. Glad the car kept your injuries to a minimum. If the insurance company doesn't total it make sure you file for a diminished value compensation ... The incident will show u on CarFax and could affect resale value. I am pretty sure it will be totaled especially with an airbag deployment. 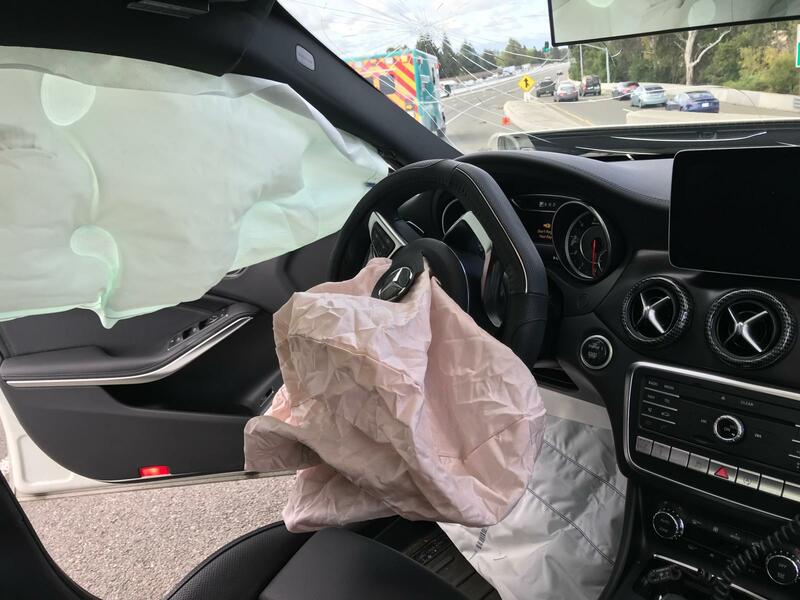 The airbags did the job of keeping you safe and that is all that counts. yeah 3 airbags. If the car were older i would have been more confident that it'll be totaled but it's only 3 months old. it also makes me wonder if i'll get close to what i paid for since it's so new if it's considered totaled. i was on 680 around fremont. I had a Buick totaled but I had gap insurance. Glad that you walked away with only a sore wrist. Wishing you all the best in your settlement! sorry to see a local 45 go but glad you are safe.